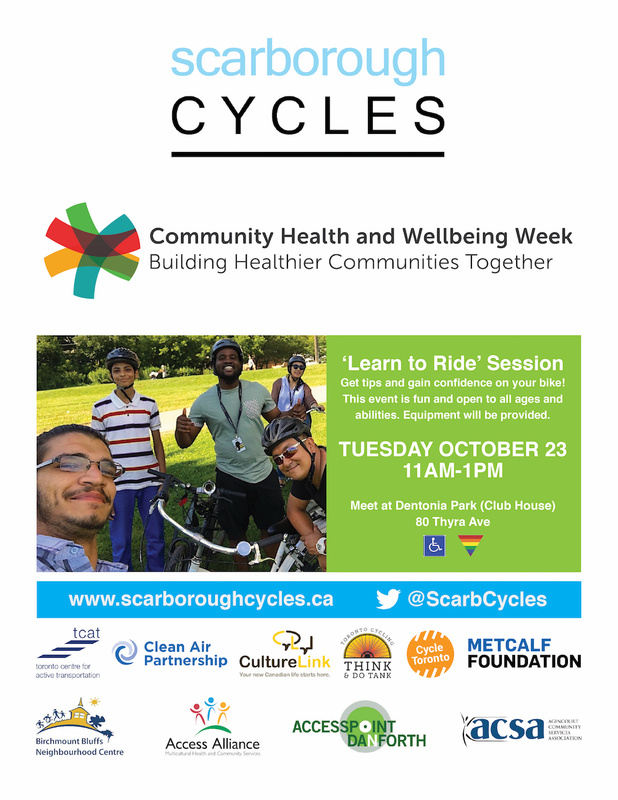 Join Scarborough Cycles for a free ‘Learn to Ride’ session at Dentonia Park. This event is fun and open to all ages and abilities. Equipment will be provided.